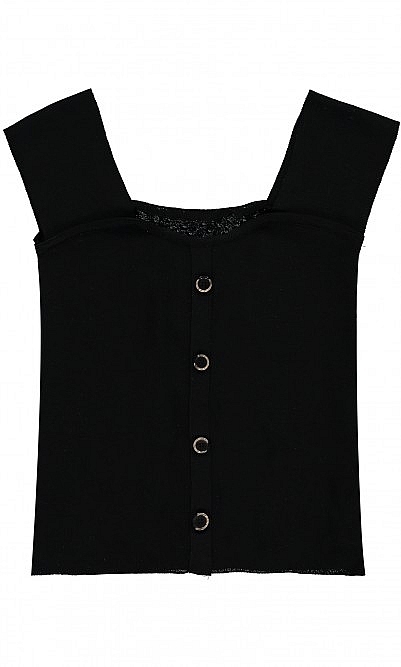 Buttoned jersey knit top, shaped to fit neatly with wide contemporary straps. L53cm. Fabric and care: 100% Acrylic. Dry clean. Models wears size small. Model height 5'9.